Have you written a cozy mystery novel? Do you now require a publishing house to publish it? Take a look at the following 19 top cozy mystery publishers. One of these might be a perfect fit for your manuscript. This publishing company specializes in the cozy mystery subgenre. After all, it’s in their name! Founded in 2010 by Patricia Rockwell, Cozy Cat Press has over 150 cozy mystery titles under its belt. They’ve published books like “Kill It By Skillet” by Marie Birdie and “Deadly Degree” by Carmen Will. They are currently accepting unsolicited manuscripts via email. They ask that manuscripts be between 50,000 to 70,000 words in length and that you also include a query letter to introduce yourself, provide a brief summary of your story, and any other relevant information. For more information on their submission requirements, click here. Doubleday Canada is an imprint of Penguin Random House Canada. As the publisher of the best seller cozy mystery “The Grave’s a Fine and Private Place” by Alan Bradley, Doubleday is an excellent choice in publisher for budding cozy mystery writers. Their books have won many literary awards including the Scotiabank Giller Prize, the Governor General’s Literary Awards for Fiction and Non-Fiction, and even the Costa Book Award. Doubleday is accepting submissions from agented authors, so if you’re interested in working with this publishing company, have your representative contact Doubleday via email. For more information, click here. Minotaur Books is an imprint of St. Martin’s Press. They specialize in the mystery genre and have produced several cozy mysteries like “The Pint of No Return” by Ellie Alexander and “The Corpse at the Crystal Palace” by Carola Dunn. While they don’t accept unsolicited manuscripts, they are accepting submissions and queries. They actually recommend that you find a literary agent, as they work primarily with authors who are represented. They suggest visiting the Literary Market Place Online for more information and a potential list of representatives that you can work with. For more information on their submission policies, click here. Henery Press is another big publishing name in the world of cozy mysteries. Based out of Frisco, Texas, Henery Press has published cozy series like the “Bodies of Art Mystery Series” by Ritter Ames and the “Davis Way Crime Capers” series by Gretchen Archer. They are currently accepting submissions from represented authors, but are unfortunately not accepting unsolicited or unagented manuscripts at this time. If you do have representation and are looking to work with Henery Press to get your cozy published, they recommend that you have your agent reach out via email. For more information on their submission requirements, click here. Midnight Ink is a publishing company based out of Woodbury, Minnesota that produces hard-boiled thrillers, historical mysteries, amateur sleuth novels, cozies, and more. They’ve published cozies like “Fatal Festival Days’ by Jamie M. Blair and “Fool’s Moon” by Diane A.S. Stuckart. Midnight Ink is currently accepting submissions, but only from agented authors. As of March 1st of 2011, they no longer accept unsolicited manuscripts. If you’re an author represented by an agent and are looking to work with Midnight Ink, they recommend having your agent contact them via email. They do not accept anything by regular mail. For more information, click here. Joffe Books is one of the UK’s top independent publishing companies. They specialize in producing crime fiction, thrillers, and mystery novels. They’re willing to take risks on books that they truly care about, and are also willing to work with authors who have never before been published. In return, they offer a dedicated and passionate editorial team, a great deal of marketing experience, and will stick with you to help foster your writing career. They ask that you email submissions, along with a query letter that includes a synopsis of your manuscript, as well as the genre of your book. They also require a brief author bio and a little information about where you heard about Joffe Books. For more information, feel free to click here. Tabella House is an independent publishing company that specializes in thrillers, suspense novels, and mysteries. They’ve published books like “Pretty Ugly Lies” and “The Admirer’s Secret” by Pamela Crane. 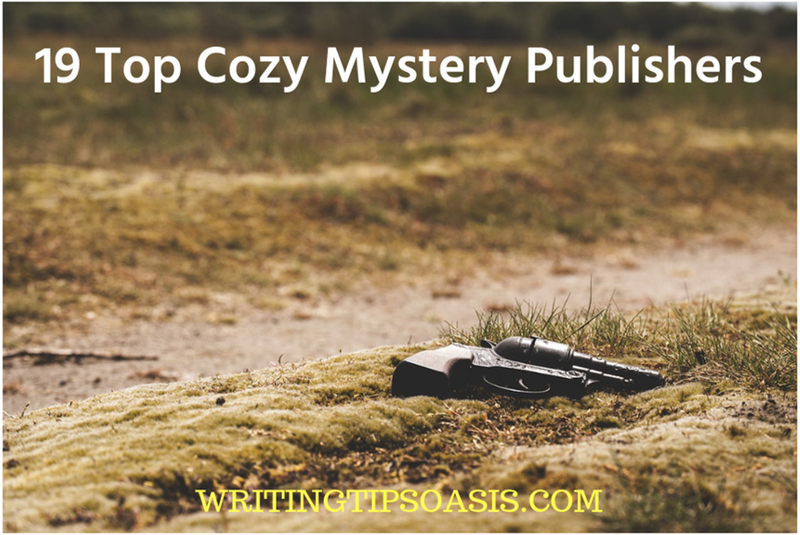 While they’ve historically produced more hard-boiled mystery novels, their submission guideline states that they publish all things mystery, including cozies! They are now accepting submissions via email, and ask that you include a query letter and the first three chapters of your cozy. For more information about their submission guidelines, click here. Founded in 1967, House of Anansi Press was created to help promote and publish Canadian writers. They’ve worked with a wide range of author’s including Margaret Atwood, Matt Coehn, and George Grant. They are currently accepting submissions, and are particularly interested in stories with memorable characters and strong narrative voices. They work closely with their imprint, Spiderline, which specializes in plot-driven mysteries and crime fiction. You can submit your manuscript via their online submissions form, found here. They do not accept submissions via regular mail. Camel Press is an imprint of Coffeetown Press, specializing in genre fiction like romance, mystery and suspense, science fiction, fantasy and horror. They work closely with the Mystery Writers of America and are based out of Kenmore, Washington. They have published several cozy mystery novels like “Murder on Moon Mountain” by Jean Harrington and “Murder in the Crooked Eye Brewery” by J.C. Eaton. They are currently accepting submissions from both agented and unagented authors. They ask that you include a query letter, the first fifty pages of your manuscript, a brief synopsis of your story, and a short author biography. For more information about their submission guidelines, click here. Poisoned Pen Press was founded in 1997 by Robert Rosenwald and Barbara Peters. 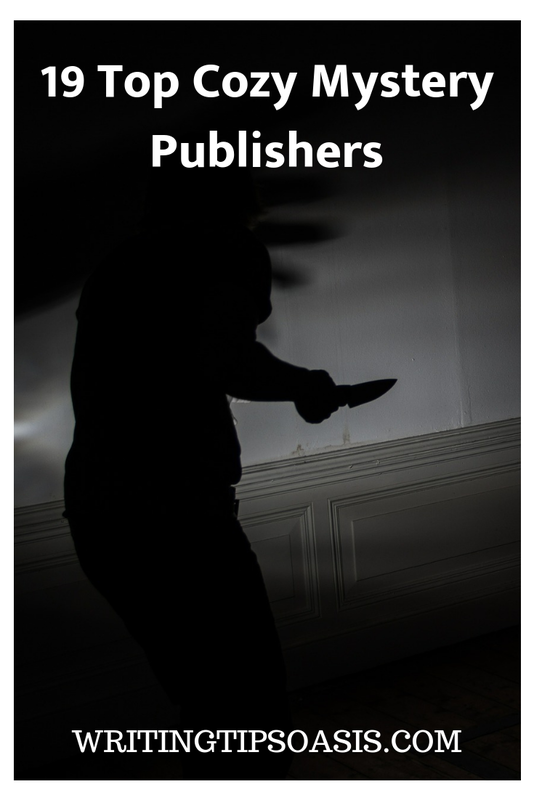 This independent publishing company thrives and proudly promotes mystery novels. Based out of Scottsdale, Arizona, this publishing company has nearly twenty years of experience in the literary field. They’ve produced cozy series like the “Constable Molly Smith” novels by Vicki Delany and have an entire section dedicated to the cozy sub-genre. They are unfortunately not accepting submissions at this time, but highly encourage you to check back at a later date to see if this status changes. For more information, click here. Founded in 2011, TCK Publishing is a small independent publishing company. TCK Publishing is currently accepting new submissions of mystery novels. They’re looking for stories that are a minimum of 40,000 words in length. They accept cozy mysteries and recognize the popularity of the sub-genre. They ask that submissions be sent via email for faster response time, or you can use their online contact form to send inquiries (found here). Anvil Press was founded in 1990 and has become a very prominent publishing company that promotes contemporary Canadian literature. Based out of East Vancouver, Anvil Press was nearly twenty-five years of publishing experience. While they only consider work by Canadian authors, they publish in a wide variety of genres. They ask that you send your submissions via mail and include a self-addressed stamped envelope (SASE) in order to hear back from them with their decision. They ask that you include a brief, one-page synopsis of your book, along with the first twenty to thirty pages for review. For more information, click here. Lachesis is an independent Canadian publishing company that works closely with their authors to produce incredibly engaging and entertaining books. They publish genre fiction, which includes thriller, suspense novels, romance, and mysteries. They’ve published cozies like “A Crouton Murder” by J. M. Griffin and are hoping to expand their mystery roster. While submissions are closed for the remainder of 2048, they recommend that you check back in the new year to see if submissions have been reopened. For more information about their submissions guidelines, click here. Seventh Street Books is a publishing company that focuses on producing high-quality mystery, thriller and crime fiction. As an imprint of Prometheus Books, this publishing company has all of the tools and resources to help get first-time authors on the right track towards a successful writing career. They are currently accepting both agented and unagented manuscripts. For authors without current representation, they ask that you email your complete manuscript along with a query letter that provides your contact information, and brief author bio, and a short synopsis of your story. For authors with agents, they ask that you have your representative contact them directly via email. For more information, click here. Founded in 2014, Fiery Seas Publishing operates out of Point Clear, Alabama. They’ve worked with authors like Rosemarie Aquilina, Wayne Avrashow, and Rachel Dacus. They publish a wide variety of genre fiction, including mystery novels. They are unfortunately not open for submissions at this time, but will make a public announcement when they are ready to reopen to receive new manuscripts. For more details or contact information, click here to learn more. Insomniac Press is an independent Canadian publishing company that was founded in 1992 by Mike O’Connor. They publish a wide range of books in many different genres, and are always willing to take a look at the work of new authors. Based out of London, Ontario, Insomniac Press works closely with the Ontario Arts Council and the Canada Council for the Arts. They do not publish science fiction, cookbooks, romance, or children’s books, but do accept mystery and crime thrillers. While they don’t accept unsolicited submissions, authors with representation are highly encouraged to get in contact. For those interested, feel free to check out their website for more information and to see if your work would be a good fit with Insomniac Press. Blue Moon Publishers is another Canadian publishing company based out of Ontario, which works closely with the Literary Press Group of Canada and the Ontario Book Publishers Organization. They specialize in literary fiction, which includes the mystery and cozy genre. They openly welcome new submissions, both solicited and unsolicited. If you’re sending in an unsolicited manuscript, they ask that you include a query letter that provides them with your contact information, a brief author bio to introduce yourself, and a synopsis of your manuscript. For more details on how to submit to Blue Moon Publishers, click here. Dundurn is an independent Canadian publishing company that was founded in 1972. They’ve published nearly 2500 books in print, and have ventured into electronic formats in recent years, having produced nearly 1700 ebooks. In both 2012 and 2013, Dundurn was nominated for the Libris Award for Publisher of the Year, a testament to their hard work and dedication as a publishing company. They are currently accepting submissions via email, specifically for mystery and thriller works. They ask that you include a cover letter with your submission, which should provide a synopsis of your work, a table of contents and a chapter-by-chapter outline, a brief author bio, and a potential marketing plan if they accept your submission. For more details, click here. Based out of Queensland, Australia, Lakewater Press was founded a few years ago in 2016. They are a small independent publisher, but have a capable team of editors who are more than eager to discover new talent. They are currently accepting submissions from both agented and unagented authors. They do not publish novellas, anthologies, or non-fiction. They also do not publish children’s books. They ask that you email a specific editor on their editorial team (one and only one) with a query letter, information on the genre of your book, estimated word count and the first chapter of your manuscript. You can find a list of Lakewater Press’ editors and their contact information here. Do you know any other cozy mystery publishers? Please tell us about them in the comments box below! I’ve also recently had a play about the First World War broadcast here in the UK – it’s available at the website address below.